Bristol is a community of about 4000 - a small village surrounded by residential neighborhoods and productive farmland. 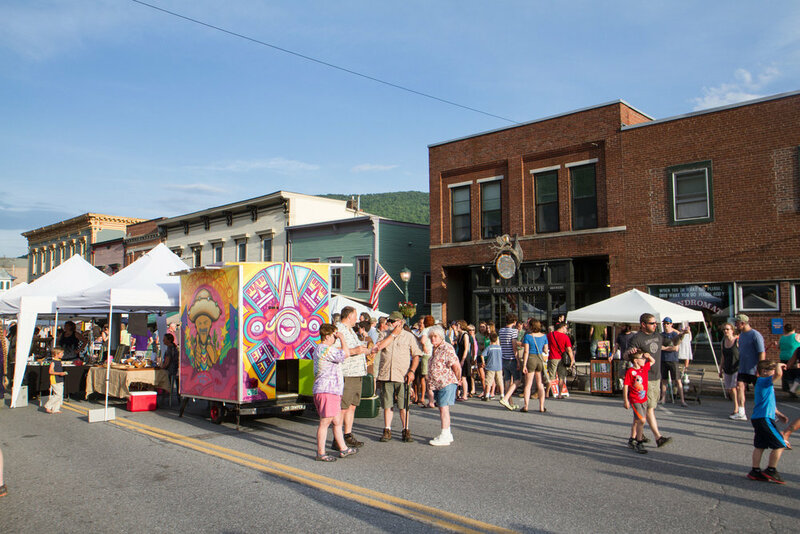 The village occupies a picturesque location, nestled against the Bristol Ledges, with the foothills of the Green Mountains as its backdrop. Bristol Village Cohousing is located on North Street, around the corner from Bristol’s historic Main Street (just to the left of the photo above). Founded in 1762, Bristol serves as a commercial hub for five small Addison County towns. Almost everything you need in your daily living is easily accessible on foot. Shops, restaurants, a fitness center, the public library, a drug store and a grocery are all located within a block or two of the cohousing community. Other amenities within a short walk are the post office, a locally owned hardware store, a traditional medical facility, and an alternative healing center. The town green, with an attractive new playground, is across the street. Both the elementary school and the high school are within easy walking distance. Bristol is a vibrant community, with many cultural and local events sponsored by an active citizenry. There are several recreational facilities in town. Much more can be reached within 20 minutes by car. 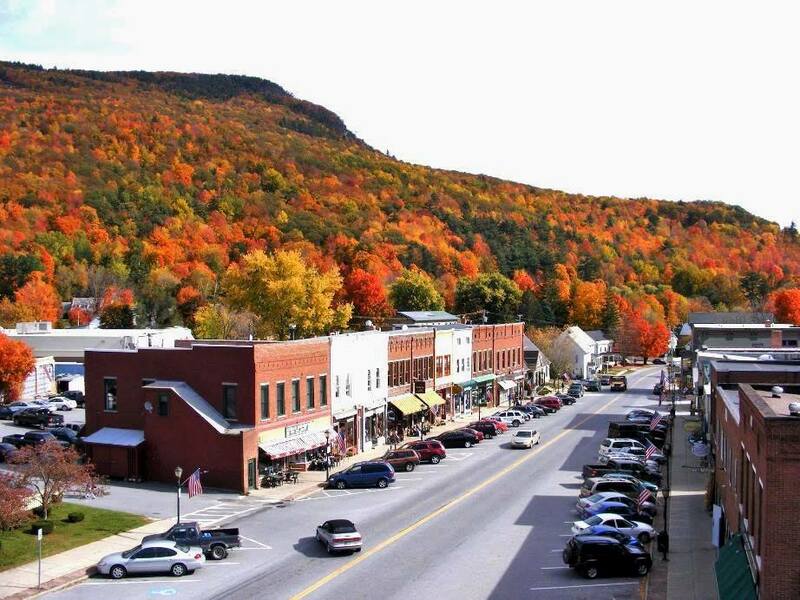 Bristol is located 30 miles south of Burlington and 12 miles north of the college town of Middlebury. Both are accessible by bus; the bus stop is a block from the cohousing community. For more information about Bristol, check out DiscoverBristolVt.com. 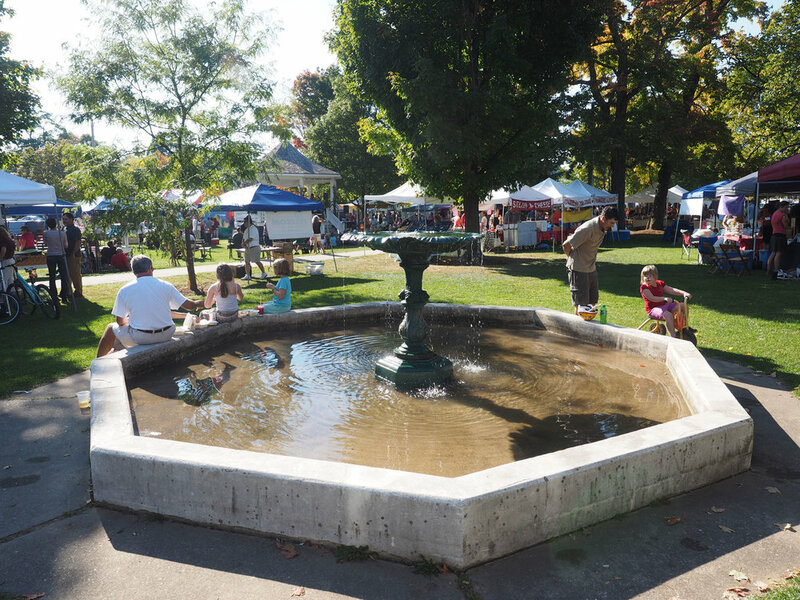 Located in the center of the village, the green includes a bandstand, fountain and children’s playground, and is the site of festivals, band concerts, and movies on the park. Bristol Band Concerts are held every week from mid-June to Labor Day. One of several annual events on Main Street that draws residents of the surrounding towns of Lincoln, Monkton, New Haven, and Starksboro. July 4th Bristol Outhouse Race have been an annual tradition for the past 35 years. Fresh vegetables from local farms at the Bristol Harvest Festival. Almost Home Market offers food and drinks, local entertainment and take-out fare. The Bobcat Cafe features local food and house-made beer. The Bristol Cliffs Cafe (previously known as the Bristol Bakery) is a gathering place for locals throughout the day. Art on Main operates as an artist-run non-profit gallery, featuring the work of over 100 artists. Items for sale include pottery, prints, jewelry, traditional arts and more. The Rite-Aid pharmacy and Shaw’s grocery are literally right next door to Bristol Village Cohousing. Holley Hall, across from the town green, offers a variety of plays, dances and classes all year long. View of Bristol from the Ledges. The trail head is a five minute walk from the cohousing site. If you prefer a flatter hike, lovely Bristol Pond is just down the road from our community. There are loads of opportunities for outdoor activities, both as a participant and observer. Cyclists in the Green Mountain Stage Race rolled through Bristol in September 2018. Enjoy great skiing and breathtaking views at Mad River Glen, less than a half hour away from Bristol. Bristol is home to several restaurants – you’ll find pizza, Chinese food, diner fare, a pub and both gourmet ice cream and a creeme stand. Local stores sell gifts, books, housewares, office supplies and second-hand items – look also for Green Mountain Shoe and Apparel. Also located within walking distance of Bristol Village Cohousing are a beautiful local library (The Lawrence Library), a gym (Bristol Health and Fitness), a hardware store, a veterinary hospital, the Mountain Health Center, chiropractors, acupuncturists, physical therapists and a couple of banks. Bristol Band Concerts are held at the bandshell in the town green every week from mid-June to Labor Day. Bristol Town Green: Located in the center of the village, the green includes a bandstand, fountain and children’s playground, and is the site of festivals, band concerts, and movies on the park. The Stampede, a three day yard sale, raising money for a local charity. Harvest Festival, with music and vendors. Cool Yule celebration includes bazaars, concerts, and a chocolate walk. Maple Magic, A fun day of maple sweets, treats and bargains from downtown merchants – great way to combat cabin fever. Sycamore Park - a day-use recreation area 3 ½ miles from the village, with picnic tables, excellent swimming & fishing areas and six interpretive sites. Bartlett Falls – a scenic swimming hole located about 2 miles from the village. The New Haven River – located along the edge of the village and offering great spring white water adventures. The Mount Abraham Union High School indoor swimming pool is open to the public year round. The Lincoln Peak Vineyard - located about 15 minutes away in Middlebury. Enjoy a taste of local wine and the summer concerts offered on site. Golf courses – two public golf courses are located 15 - 20 minutes away: the Ralph Myhre Golf Club in Middlebury and the Cedar Knoll Country ClMiub in Hinesburg. Skiing – Bristol is located about 20 minutes from downhill skiing at Sugarbush, Mad River Glen, and the Middlebury Snowbowl. Rikert Nordic Center is also about 20 minutes away in Middlebury. Hiking – access to the 273 mile Long Trail, the oldest long distance hiking path in the US, is about 15 minutes from Bristol Village. Mount Abraham, one of the highest peaks in Vermont, is located about 20 minutes from the village on the Long Trail. The Marble Works, an historic district with restaurants, shops and other businesses located downtown near the Otter Creek Falls. Tasting rooms at the local Woodchuck Cidery, Otter Creek Brewery and the Drop In Brewery. The Middlebury Natural Foods Coop, open 7 days a week, offering members and nonmembers wholesome natural foods and environmentally sound household products. The Middlebury Farmer’s Market, open Wednesdays and Saturdays from May – October. An indoor Farmers Market is open on most Saturdays from November – April. 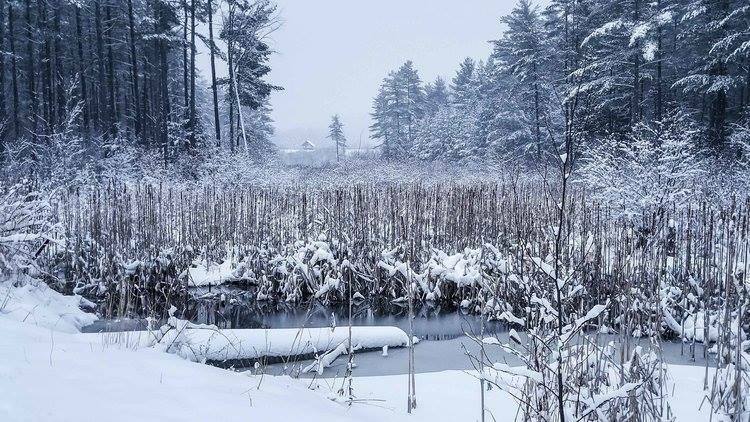 The Trail around Middlebury, a 16 mile recreation path that circles the village, available for cyclists, walkers, cross-country skiers and snow shoers. Porter Medical Center, a 45 bed community hospital, offering comprehensive medical care and 24 hour emergency services. The Vergennes Opera House, offering a year-round schedule of jazz‚ opera‚ folk and classical music, as well as theater performances. Dead Creek Wildlife Management Area, a destination for birders and a great place to view shorebirds, waders, snow geese and short-eared owls.